The minute (4.5 inch) common waxbill, Estrilida astrilid, possesses a rare combination of subtle and conspicuous beauty. Overall, it is quietly colored, being clad above in muted brown with darker bars and with cream breast feathers just barely washed with pink. In stark contrast, the beak and eye band are a brilliant crimson in color. The effect is really quite unique. Add to this an innate hardiness and engaging personality, and it is easy to see why this bird is one of the more popular African finches in the pet trade. Common waxbills are found throughout much of Sub-Saharan Africa, and on the islands of Madagascar, Mauritius, St. Helena and New Caledonia. Their popularity has resulted in a great many translocations, and feral colonies are now well-established in Spain, Portugal, Trinidad, Hawaii, Brazil and elsewhere. They are birds of grasslands and sparsely wooded habitats, and may be seen in savannas, scrubland, farms, parks and around homes and gardens. Common waxbill care follows that of zebra finches and other pet trade staples, and may be kept in either spacious cages or outdoor aviaries. They do well on a diet comprised of finch seed, sprouts, egg food and a bit of fruit. Small insects are appreciated, and are essential for birds rearing chicks…canned insects are a convenient means of adding this important but often over-looked food to finch diets. As with all waxbills, bathing opportunities are important. 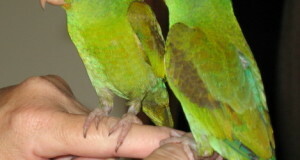 Captive breeding is not uncommon, but mated pairs become rather high strung and require quiet surroundings. The male alone constructs the enclosed nest, which may be used (in captivity) simultaneously by several females. The eggs are incubated for 10 days, and the chicks fledge within 14 days. For further information on the captive care and natural history of Estrildid finches, please see my article Nuns, Manikins and Munias. I was duped last weekend when I bought a pair of St Helena Waxbills at a bird fair. One of the birds cannot fly as it has only one wing. What is the best thing to do? Hello Lorrie, Frank Indiviglio here. Thanks for your interest in our blog and sorry for your misfortune. Laws regarding such things vary here in the US, and I’m not familiar with practices in the UK. I suggest contacting the Waxbill Finch Society, which is based in the UK, for advice. 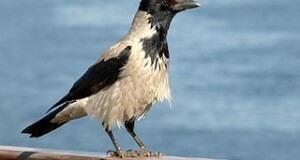 As for the bird, they usually do fine; however, males may not be able to copulate without 2 wings to assist in balance.